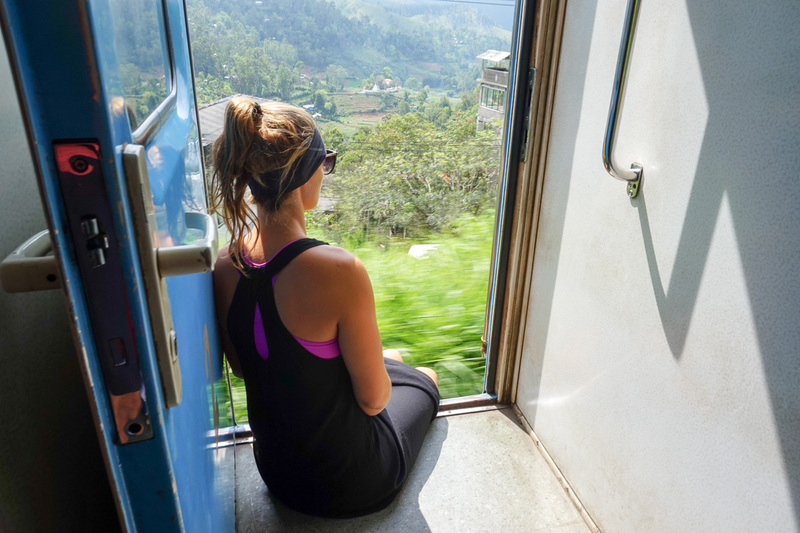 The Kandy to Ella train ride in Sri Lanka is considered one of the most scenic train rides in the world. 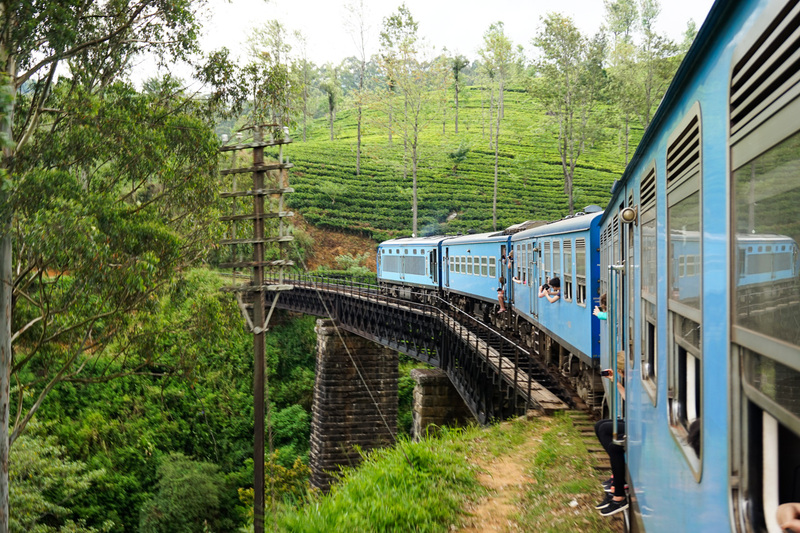 The original train system in Sri Lanka was introduced in 1864 by the British Colonial government to transport tea from the hills to Colombo but nowadays, the train is an extremely affordable way to see the beautiful countryside of Sri Lanka. 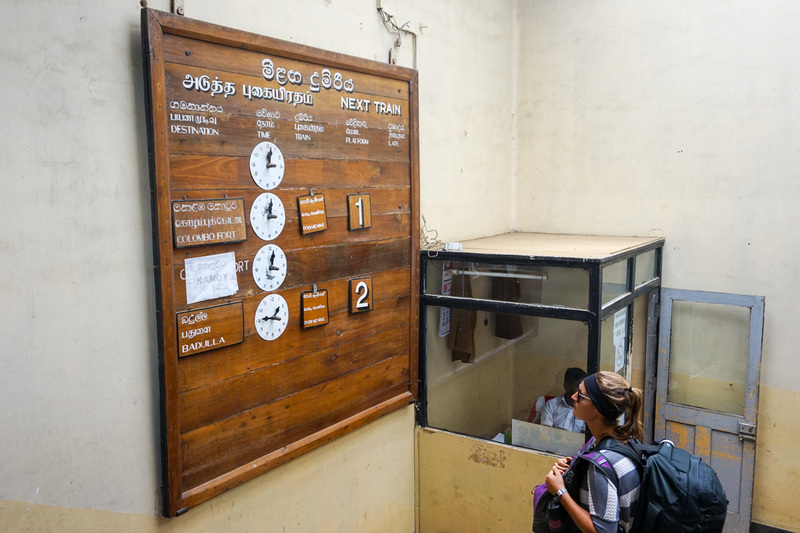 Below is our experience and advice for taking the train from Kandy to Ella (or vice versa). 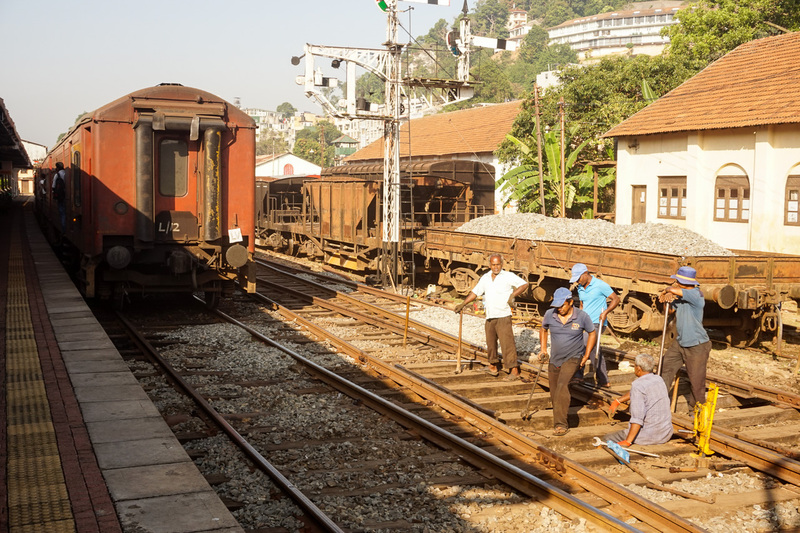 We were told to arrive at Kandy Railway Station one hour before our train departed to try and get a ticket. We did this, but due to the holiday period all 1st class tickets had been sold weeks prior and in fact, there were no available seats for at least a month. So what to do now? As we stood there contemplating our alternative options, we were approached by a very friendly man who informed us to buy 2nd class tickets, however, it came with the risk of having to stand the entire 4 hours. Yikes. We took our chances, bought the tickets and made our way to the platform. As the train approached, all the tourists gathered in the centre of the platform ready to push their way into the carriage. We didn’t get a seat at first but about 30 minutes into the trip, 2 seats became available. I guess you can say we got lucky. Don’t be put off by not having a guaranteed seat if this happens to you. The trip is worth it seat or no seat. 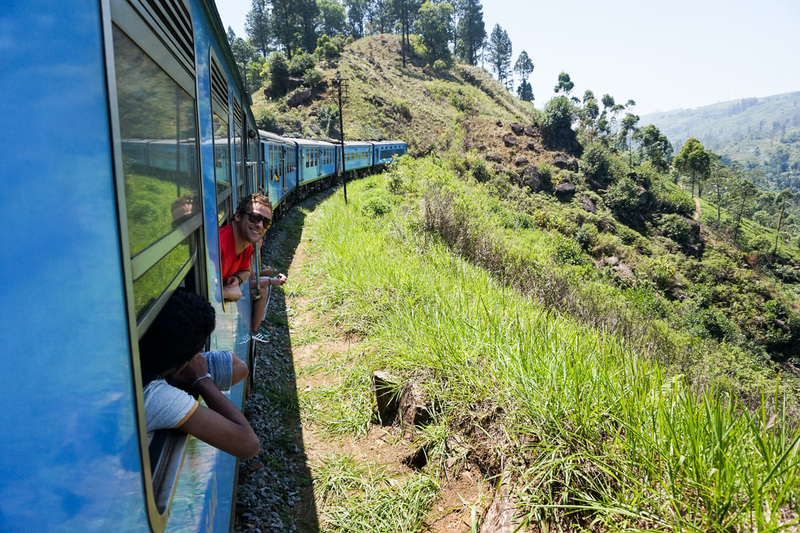 The train trip from Kandy to Ella is not only taken by tourists but by locals themselves. 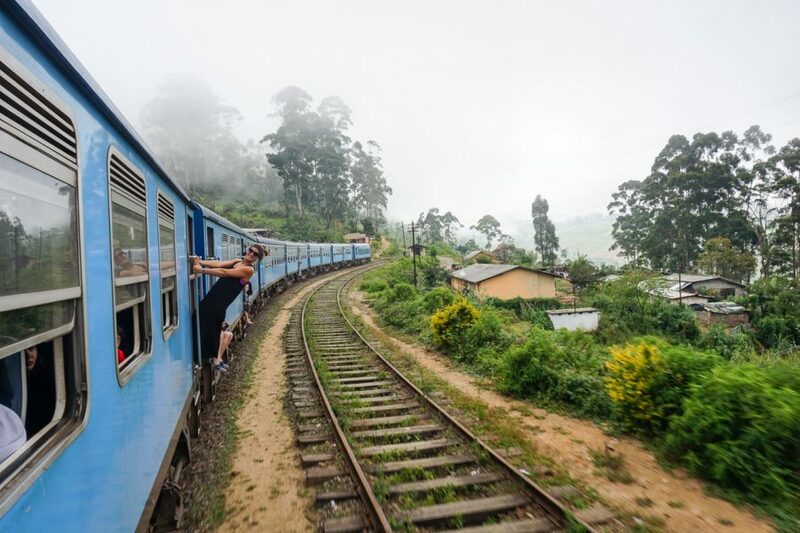 This isn’t just a tourist attraction, it’s life for the people of Sri Lanka and I’m sure they must find is somewhat amusing how excited tourists are about a simple train ride. Can they blame us? The lush green hills are purely breathtaking. 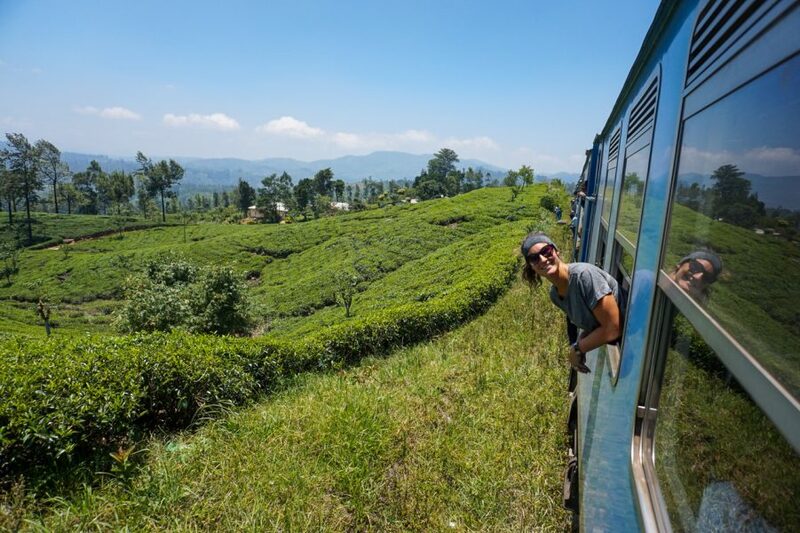 The train takes you high into the mountains, through dense forest & vibrant green tea fields, over bridges, through tunnels, local villages and beside smiling faces. If you look closely every so often you’ll notice the colourfully dressed ladies pop their heads up amongst the tea fields as they carry on with their work. 4 hours on a train has never gone so fast! The stations are old & the trains are even older, but this adds to the journey. It adds so much character! 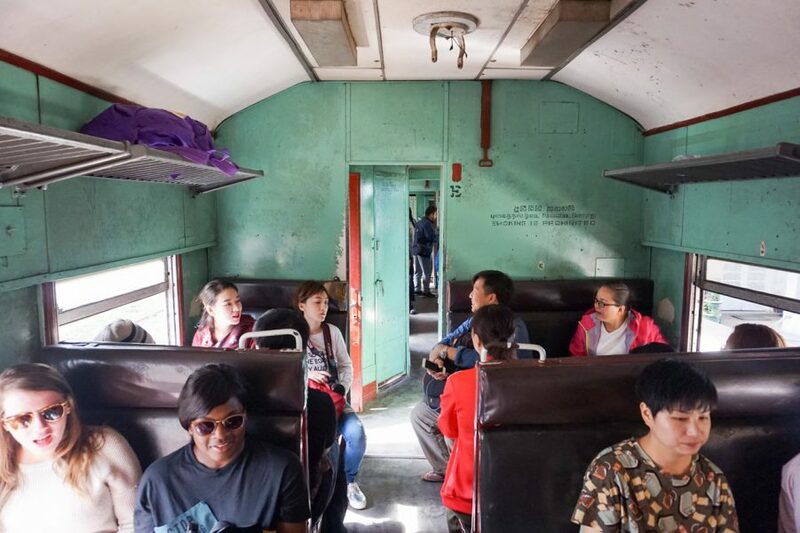 Similar to our local train journey in Yangon, Myanmar. 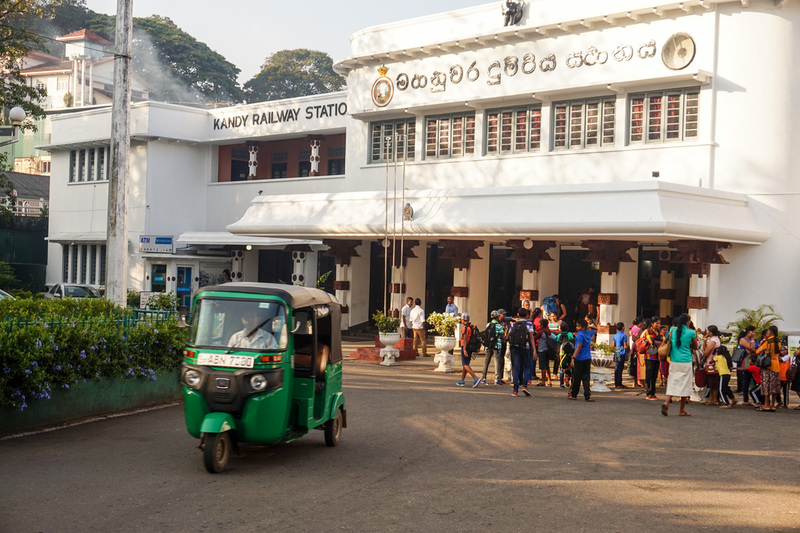 As we approached each new train station, enthusiastic vendors would enter the train selling Sri Lankan street food, drinks, fresh fruit, and spicy peanuts. Every new corner there was a new photo opportunity, and our camera was on for at least 90% of the journey. There is something so refreshing and magical about hanging out the door or window of a train as the wind blows in your hair! There aren’t a lot of places in the world you can do this. Be careful though, the bushes come close at times. 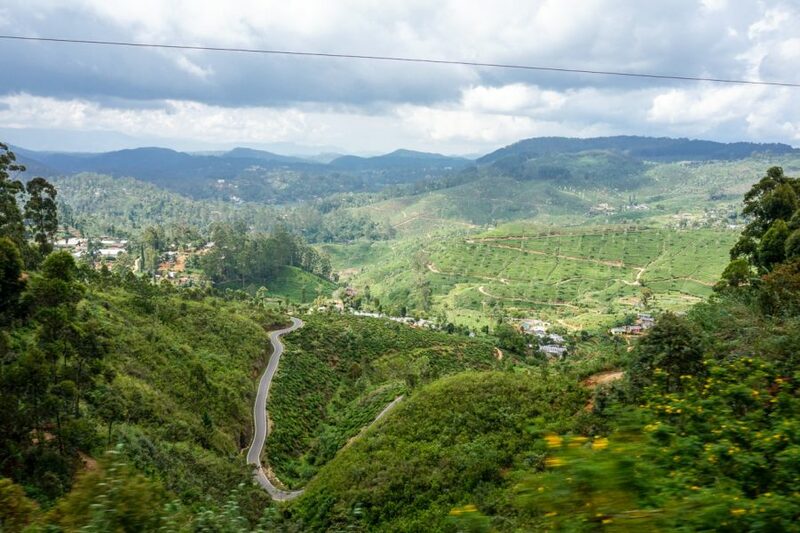 The journey takes approximately 7 hours from Kandy – Ella and whilst that may sound long, it is 100% worth it. 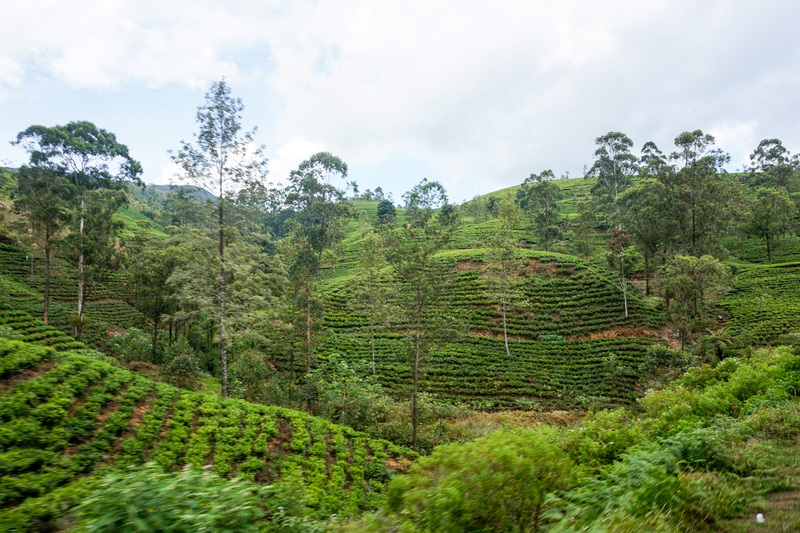 If you want to break up the trip halfway (as we did), consider a stop in the beautiful town of Nuwara Eliya also known as “Little England”. (Nanu-Oya is the station you get out at). This station is a colonial hill station 2,000 metres above sea level. There is enough to do in Nuwara Eliya to keep you busy for 2-3 days so it’s certainly worth considering if you have the time. How much does the train ride cost? Peanuts! 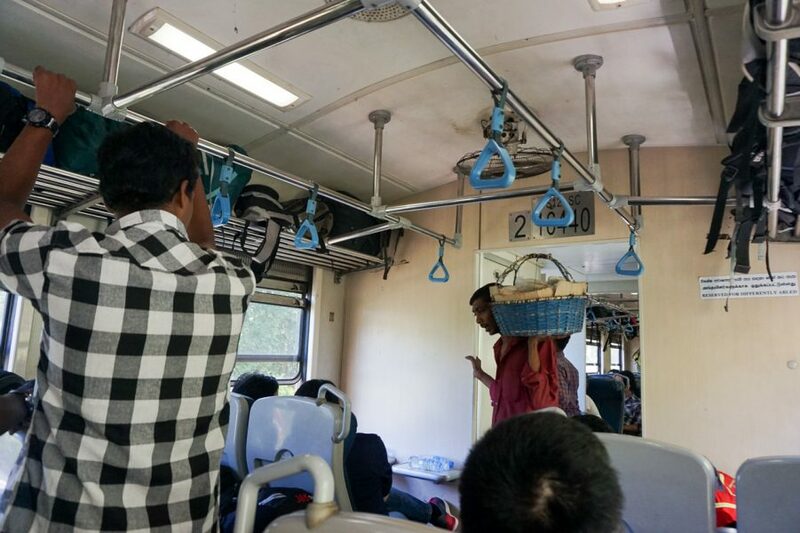 Kandy – Ella (2nd class compartment) – 120 LKR. That is less than $1 USD for a 4-hour train ride. It’s even cheaper than the train journey in Yangon, Myanmar. 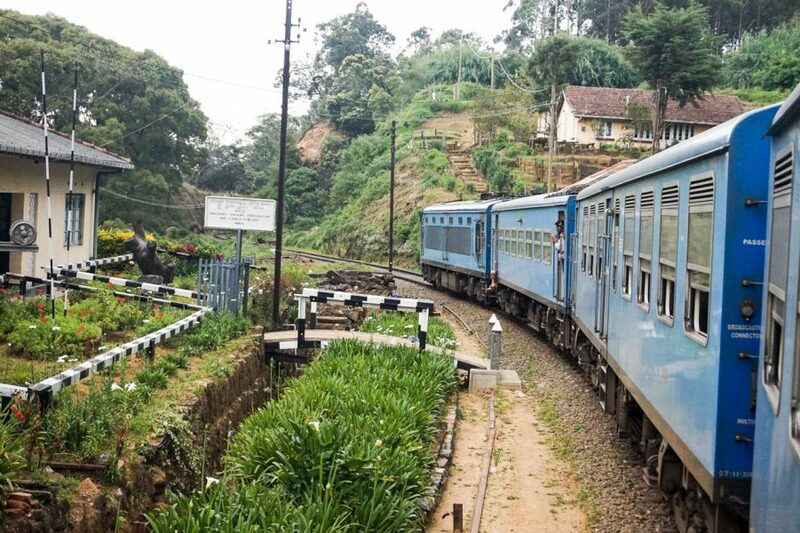 Nuwara Eliya – Ella (2nd class compartment) – 120 LKR. First class ranges between 1000 LKR and 3000 LKR ($6.50 – $20 USD). Depending on which company you book it through, the price changes immensely – if you can even get a ticket. There are 3 types of tickets you can buy for the train and they differ in cost/comfort and compartment. Here is each of them explained briefly. 1st Class – These tickets are reserved tickets and can be bought in advance to guarantee yourself a seat. The compartments also contain A/C. 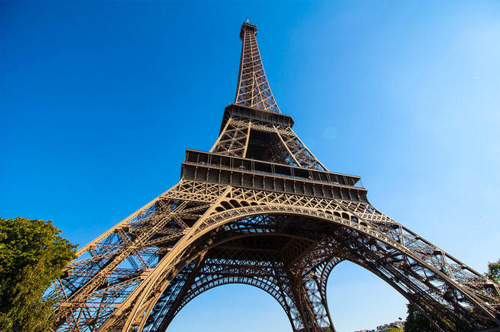 The downside of these tickets is you have no open doors and windows to hang out of for that picture perfect shot and they are filled 95% by tourists. Slightly boring don’t you think? During the holiday season, these tickets sell out months in advance so get in early. We were disappointed we missed out on the 1st class but after riding in 2nd class, we were more than happy with our arrangement. Note: If you want to book these in advance head to ExpoRail or organise them through a travel agent in Sri Lanka. 2nd Class – Tickets can only be bought on the day of travel. You cannot reserve a seat, therefore, you are not guaranteed to get one. In saying that, both times we took the second class we got a seat halfway through the trip. The rest of the trip we sat with our legs out the train door for the perfect unobstructed views of outside. 2nd Class Reserved Seat: They are the same coaches as above but with numbered seats and they can be reserved in advance. The price is about 50% higher than standard price and these also book out well in advance during high and holiday seasons. Some people we met paid for this class and still did not get a seat. For all the latest information on the train schedules, see here. The man in seat 61 knows it all! Show up at the train station early to grab yourself a ticket. Keep your ticket coupon until you exit the station, they will ask for it when you get off the train. 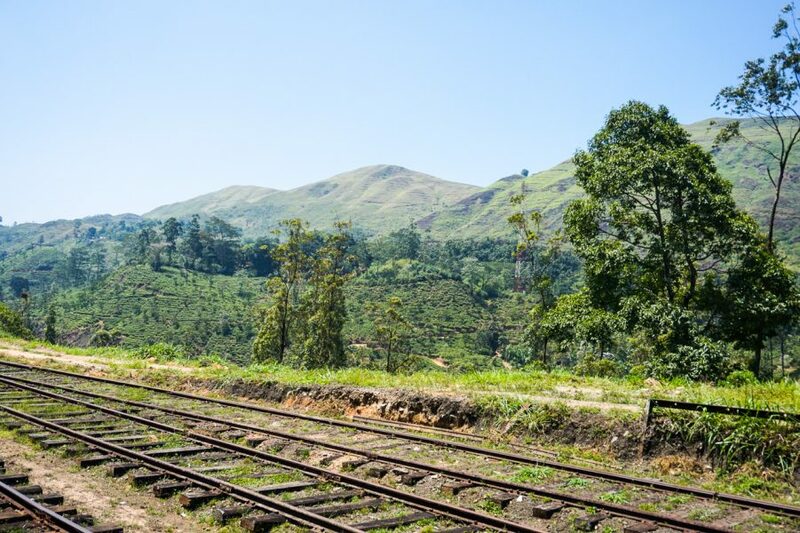 Don’t take the overnight train from Kandy to Ella – you miss the beautiful scenery! 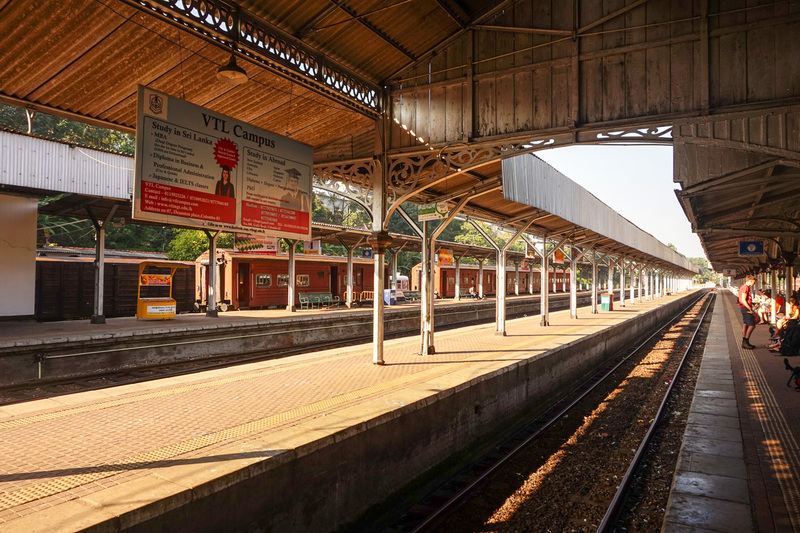 Sit on the right side of the train from Kandy – Ella. 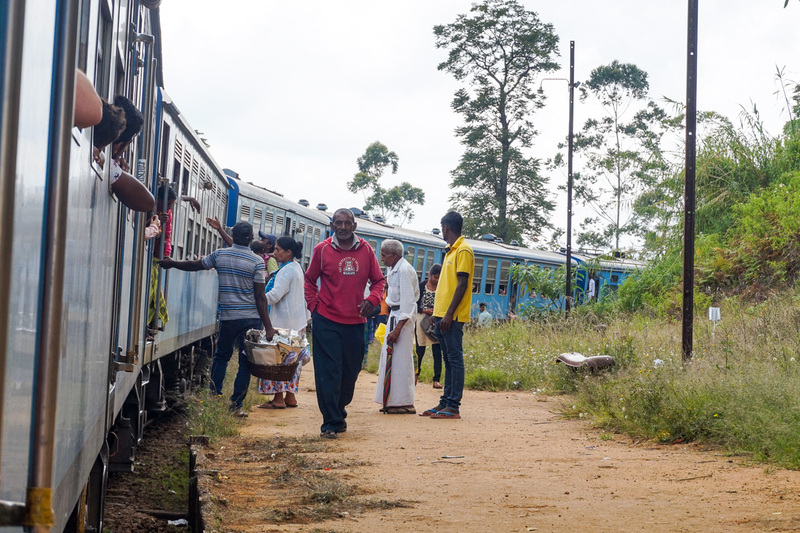 Sit on the left side of the train from Nuwara Eliya to Ella. Charge your camera to 100%. Bring toilet paper/sanitizer, the trains do have toilets but they are as clean as you would expect! 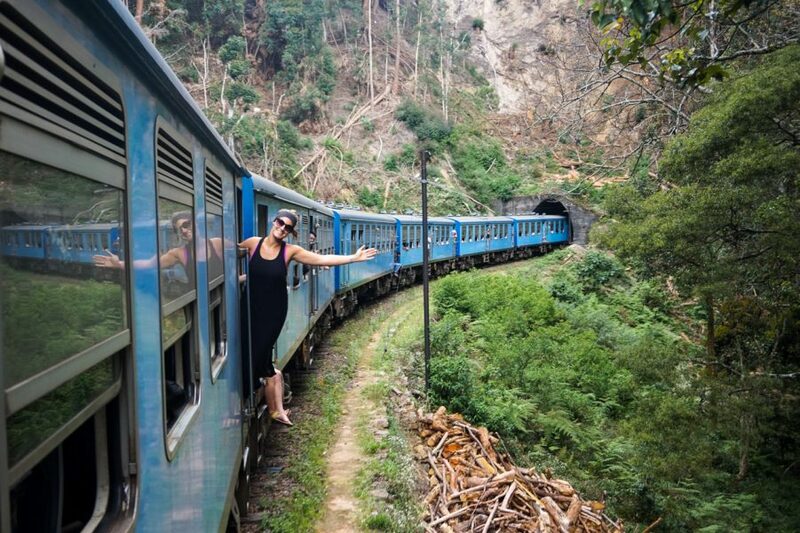 If you’re travelling to Sri Lanka, this journey should be on everyone’s itinerary. 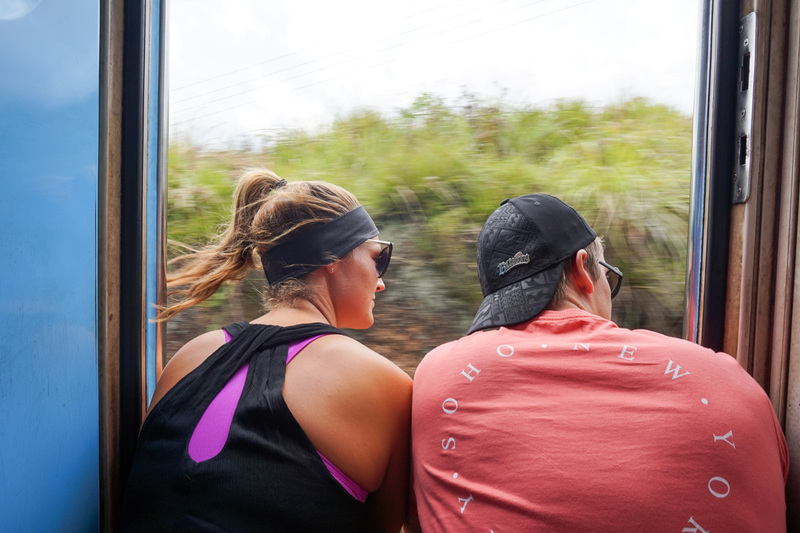 It truly was one of the most incredible, unique, train trips we’ve ever taken. Ready to book? Find a deal with booking.com. 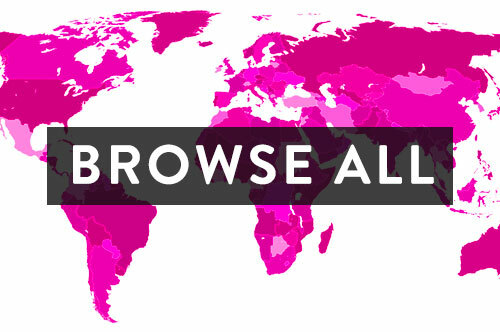 Our preferred hotel search engine. So sorry for the delayed response, somehow this comment was lost in cyberspace and I have only just seen it! I believe you would have already gone on this trip so I am so sorry for the delayed response! You cannot buy tickets other than the first class tickets online. I believe in the post you have commented on, there is a link to where you can purchase these. They do however sell out well in advance. If they are, second class is also comfortable so don’t stress too much! Hiya, such a great post and gorgeous photos! Do you know if you can buy first class seats but slip into second class to do half an hour hanging out the door and then go back to first class?! Thanks for your kind comment! Sri Lanka is a perfect choice for a holiday. 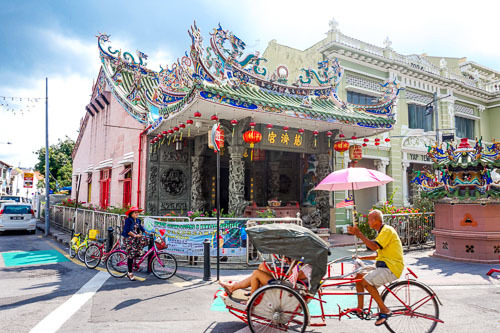 The people are extremely friendly, welcoming and warm. We felt safe 100% of the time. In terms of cleanliness, we felt it was pretty clean. 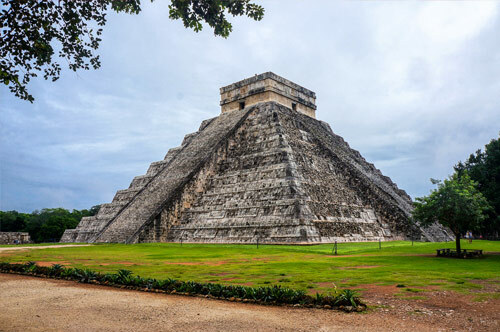 Of course, there were places that had a little more trash than usual but there were no large piles of garbage with roaming wild animals or bad smells surrounding you. We haven’t heard of a single person who hasn’t liked their trip to Sri Lanka so I have no doubt you will enjoy yourself. Oh, and btw, every country has “smelly” people ha! 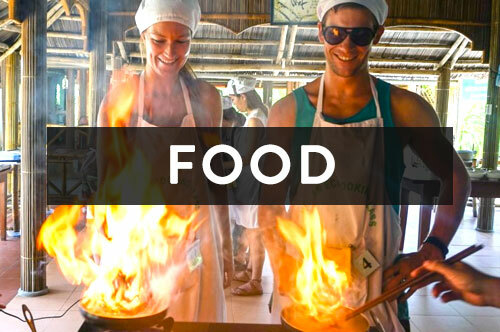 There is no reason not to visit Sri Lanka for that! How incredibly racist of you – ‘odour of the Indian people’. 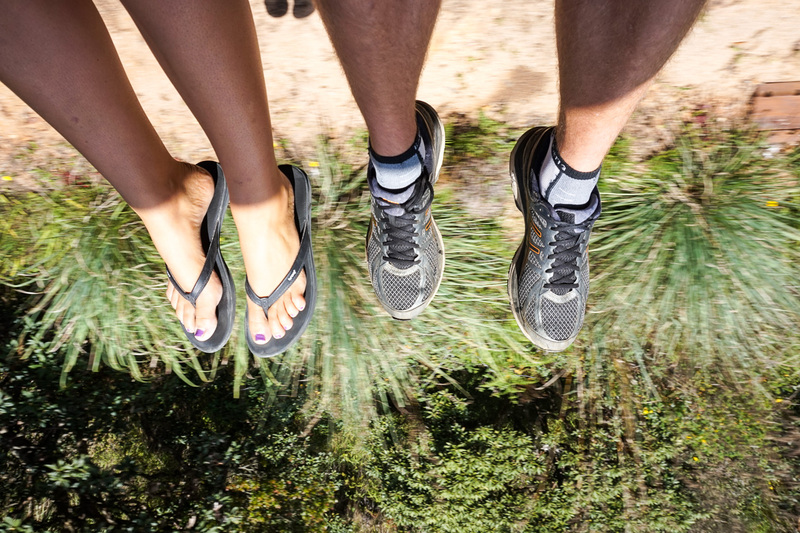 Travel is supposed to broaden horizons and help you step into other people’s shoes, not let you float around in your bubble of privilege and pass generalized judgments on other cultures. What an incredibly offensive message, Jackie. As someone who is Indian, I find this very insulting. Please refrain from making comments like this in the future. 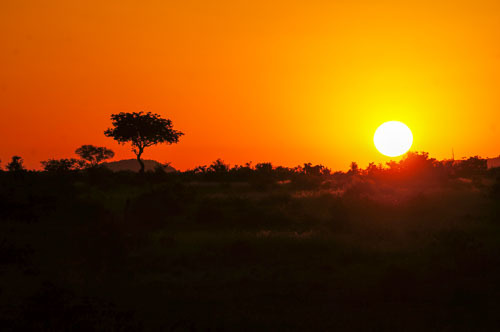 I am not sure if you deserve to visit a country as beautiful as India. 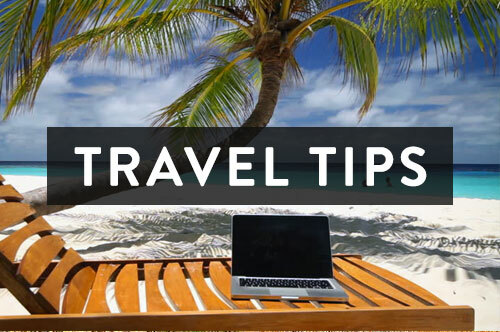 Apologies for the negativity Emily – your blog is awesome and all of these tips are very useful for my upcoming trip to Sri Lanka! Hello, we are off to Sri Lanka in February 2018, so excited. Looking to get the train from Kandy To Ella and we are not sure how to plan it, think it would be nice to stop over at Nuwara Eliya for a day or two? Then from Ella we want to go to the South, Tangella, Yala National Park etc but have no idea how to get there from Ella? Any help would be much appreicated, Your blog is brilliant, thanks. Hi Sally! Thanks for reading! The best way would be via a private driver. It sounds fancy but it is very cheap and definitely the most comfortable way. I am sure there are public buses but you would have to change multiple times and it would take forever so just ask your hotel for a driver and ask around for prices too. Whatever they offer, bargain it down also! Have fun!! hi, even we have planned a trip to Sri Lanka for a week during 1st week of Feb.
Kandy to Ella takes 7 hours, but we have limited time and may only have time to do part of the journey. Which is more scenic and recommended – Ella to Nurwa Eliya, or Nurwa Eliya to Ella. And it sounds like we should take 2nd class reserved seats? Thanks in advance for your advice! We are off to Sri Lanka for 3 weeks in February (can not wait!). 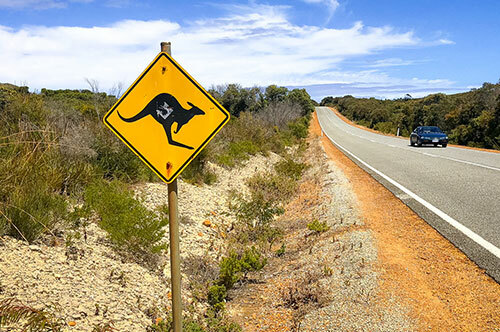 Was just wondering if you had any recommendations for places to stay as our route is quite similar to yours. Four of us heading to sri lanka in march mainly to galle for some surf. Got any good spots for the wives to visit or do while we out in the water. Also any inside info on good bars and restaurants around there. Who do we contact to get 1st class tix on the kandi to ella train. The old town in Galle is awesome for bars and restaurants, especially during sunset! 1st class tickets can be bought online but they sell out well in advance, in which case 2nd class tickets are fine to be bought on the day of travel. Hey Nick, hahaha no I don’t believe they do! I think your description of third class is a little unfair. After reading your description of third class we were very apprehensive about our third class reserved seat tickets, however when we arrived we were all plesantly surprised. The seats were in good condition, there were no bad smells at all or animals of any kind and pretty much 80% of the travellers were tourists. It wasn’t too dissimilar from many older trains you find on UK railways. Just wanted to clear up this point for their travellers reading your blog. Thanks for your comment and I’m sorry you didn’t agree with our opinion on third class. For us, on the day that we looked to take this class, the scenario was as described in our post. Please remember this is our own opinion and was based on our own experience. The trains do differ so perhaps we were simply unlucky on this particular day but it is good to know that it wouldn’t always be this way. 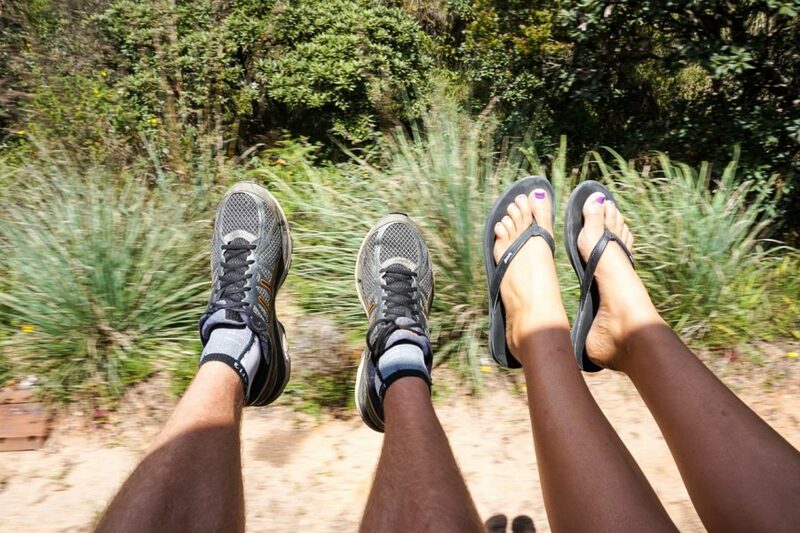 I hope you enjoyed Sri Lanka as much as we did! thanks for the post. it is very helpful. I am also heading for sri lanka and follow the same path. 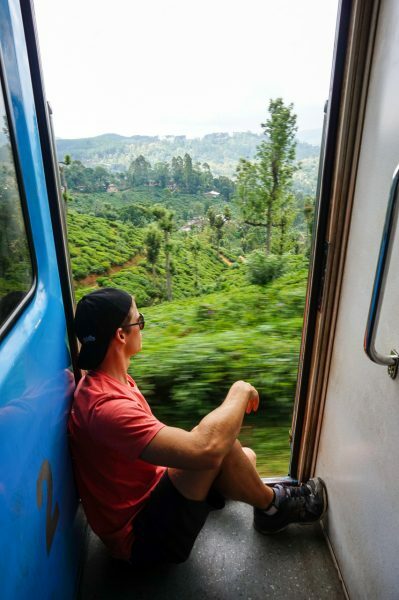 My friends and I are heading to Sri Lanka on March 21st and we plan on taking the train from Kandy to Ella on the 24th but we really have no clue how to book first class tickets (in order to travel comfortably), we’ve been searching the web for days but cannot find a website that sells tickets. Could you please advise? Even the official website doesn’t sell tickets. Hey Roy, you have to go through an agency to buy them. You can try through these guys. Good luck! really useful to know which side to sit on, thanks! Thank you for your post, it is very informative! I have a question: I want to take the train from Kandy – Ella with 11 friends. 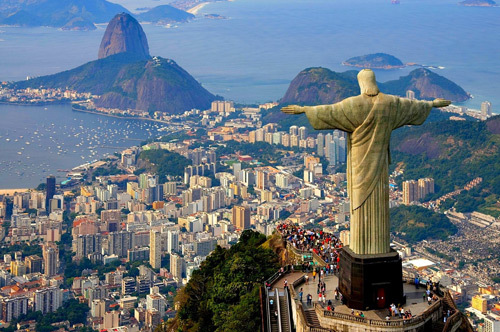 We tried to book it via visitsrilankatours, but the tickets have already been sold out. I was wondering if you think it would be possible to get train tickets in the morning for that day for 11 persons and what time do you think we should be there in the morning if we want to get train tickets? We would like to get the 11:10 train. Yes, unfortunately the tickets sell out very far in advance. I would say yes, however I cannot guarantee you can. It is best to get there earlier and just be prepared to have some of you stand up. It wasn’t a problem for us to stand to be honest as we liked the open door anyway! Have fun! Thank You so Much was very helpful!! 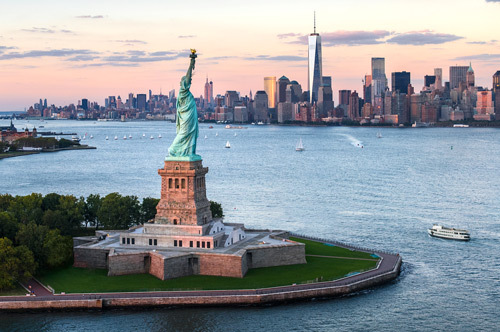 Just need a bit of opinion from you, as I have a tight schedule trip and may not have time to visit all the wonderful places. 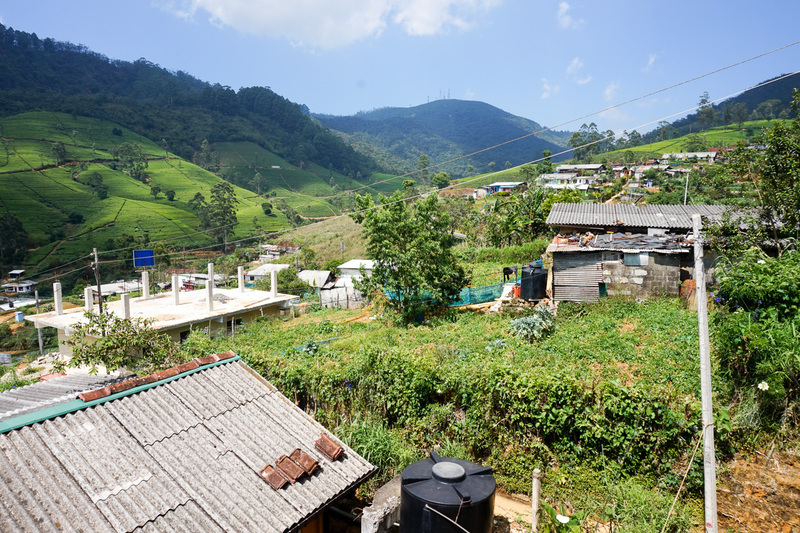 Which one would you recommend between Nurwara Eliya and Ella? That’s a tough one and it depends what you’re after. 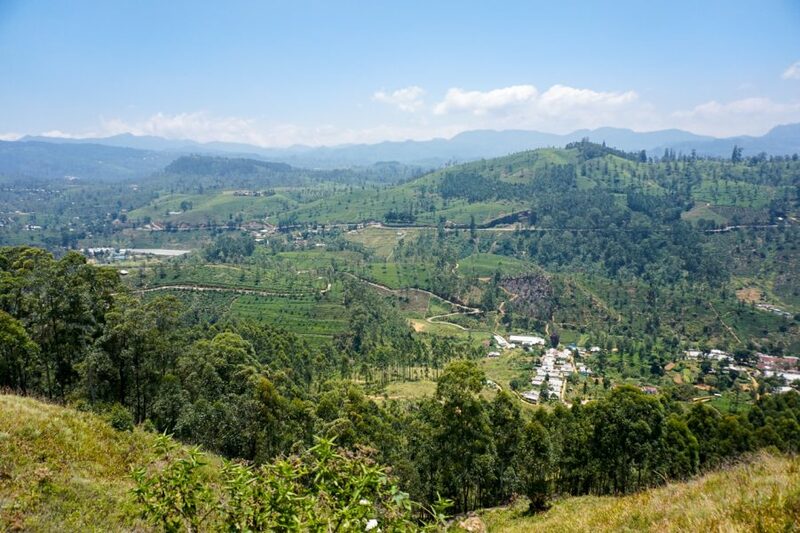 Ella has many more restaurants and is more touristy but there are great hikes, cooking classes, waterfalls and the opportunity to visit some tea plantations. Hi Emily. I love your site and have read all your blogs about Sri Lanka as we plan to do a similar trip there Nov 2018. I love the little details like which side of the train to sit on but I am confused about that. You say sit on right from Kandy to Ella but sit on left from Nuwara Eliya to Ella. Are these different routes? 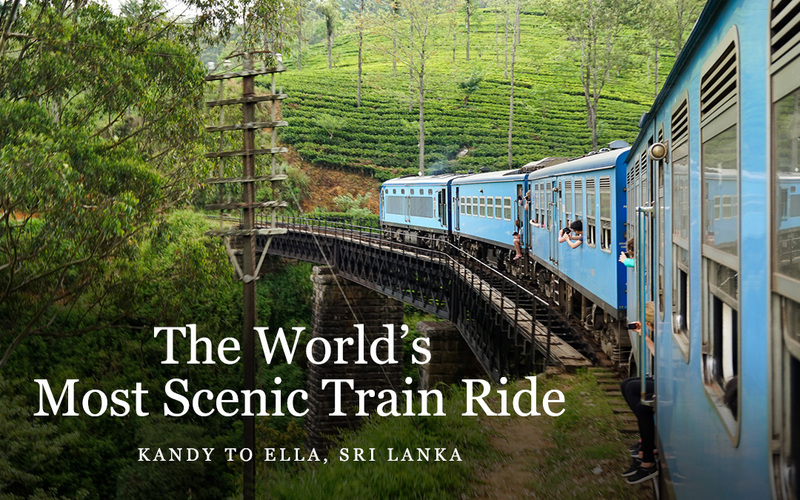 I thought the Kandy to Ella train just stopped in Nuwara Eliya. 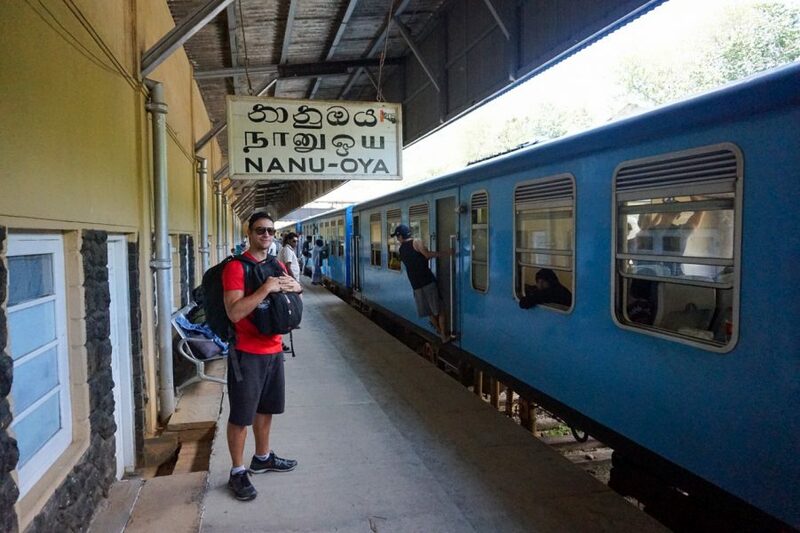 Kandy to ella is one route & Nanuoya ( Nearest railway station to Nuwaraeliya ) is in between. 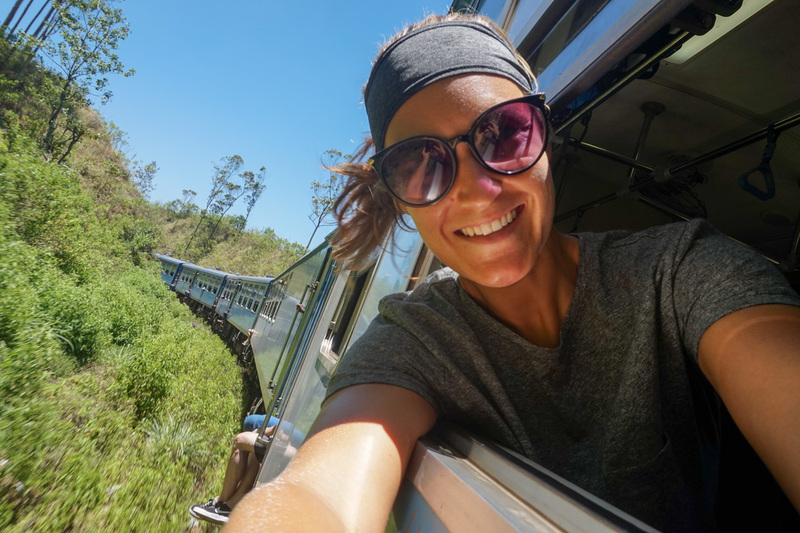 Hi Emily, we are travelling to srilanka at the end of the month and like everyone else can’t wait to experience this train ride! 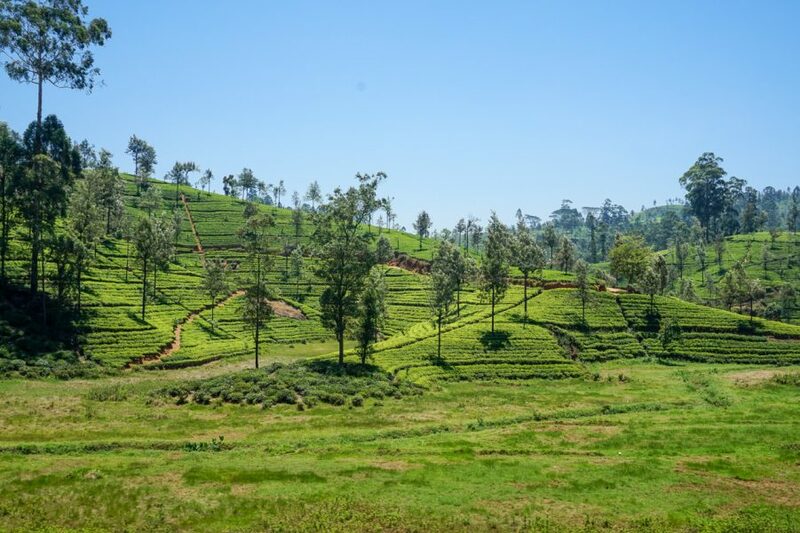 We will have our 2yr old toddler with us and I’ll be 6months pregnant 🙂 as you suggested thinking of stopping at nuwara eliya to break the trip. 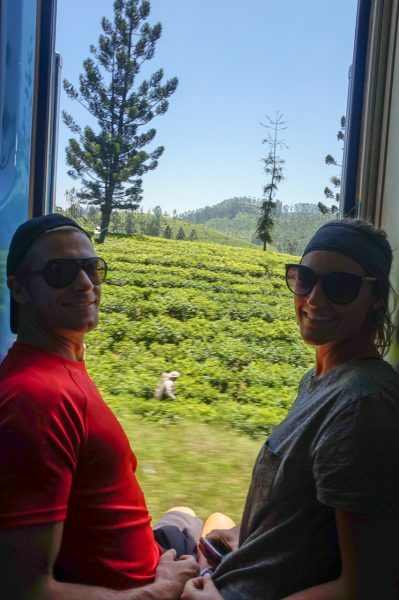 In fact I was thinking to have the private car with us all the way from Colombo-sigiriya-kandy-nuwara eliya then catch the train to Ella for the experience. Any tips? Do you think getting a second class ticket with an active toddler will be manageable? I’d love to be able to see out if the window! And we could try to have him tied to us on the ride! Yikes! 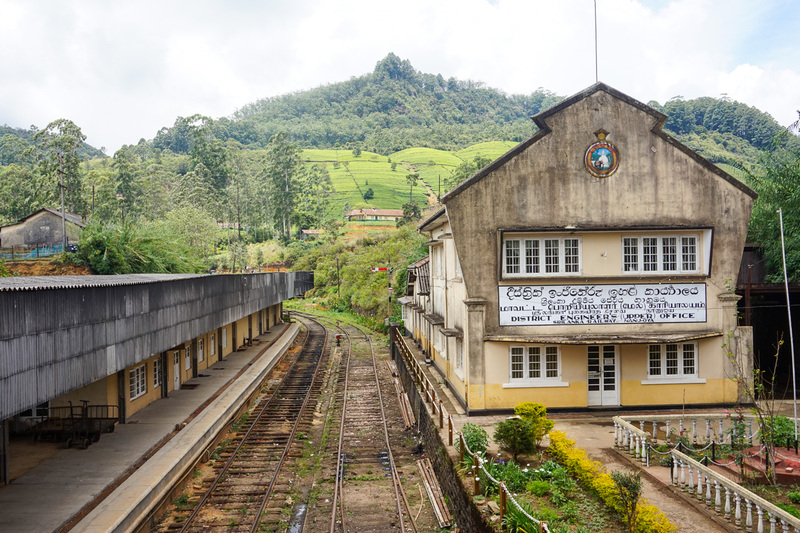 Also any suggestion on accomodation in nuwara Eliya, want to stay on route and close to the station since we are there just for the 1 night. How fun traveling with your kids! The second class ticket is manageable, so no worries there. We can’t really comment on the private car as we didn’t really do that sort of experience, but it could come in handy with kids. As for the accommodation, it depends on your budget. 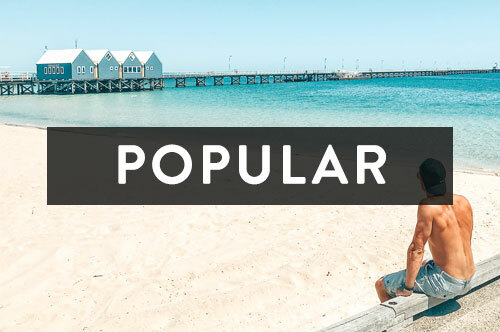 We found booking.com and airbnb to be the best places to look. It’s quite hilly though so do try to get close to the station! Thanks Emily, we go next Saturday so excited after reading this. I can’t be sure but from memory, it was halfway down. You’ll be able to tell as it will be where 90% of people are waiting haha. Have fun! we (family of 5 (3 kids) will be going to Sri Lanka next February. Time is very limited as we are heading to the beach .-). Is it true that the part Nanu Oya – Ella is the best from the Kandy-Ella line? The best tip you gave is that you mention which side of the train to sit on to get the best view! I think that is so so important for a train journey like this! Thanks for that! 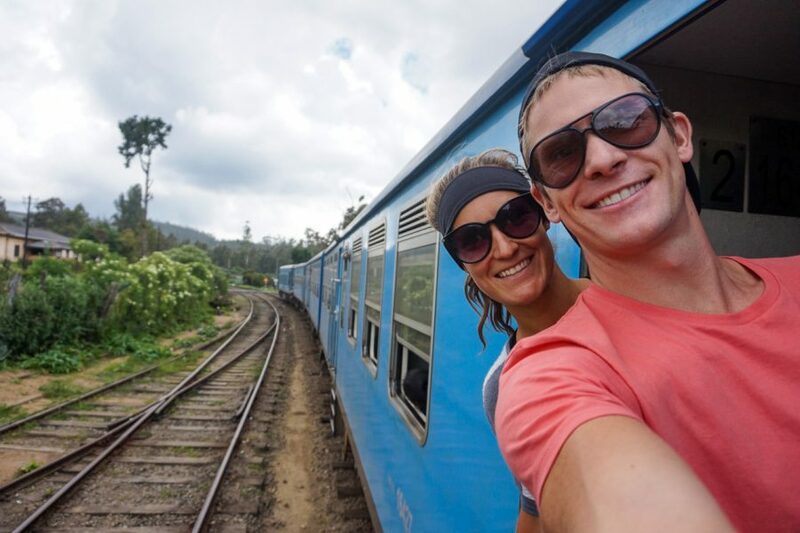 Hi ella just a quick one we are going Sri Lanka for 2 weeks and trying to plan our route we intend to visit Kandy for 2/3 days I’m guessing if we catch the Kandy to Ella train do we need to book a our cases with us and book hotel in Ella then move on from Ella to our next destination ? Also is there a national park near Kandy or Ella ?